One word sums up San Francisco’s South Beach neighborhood - exciting! 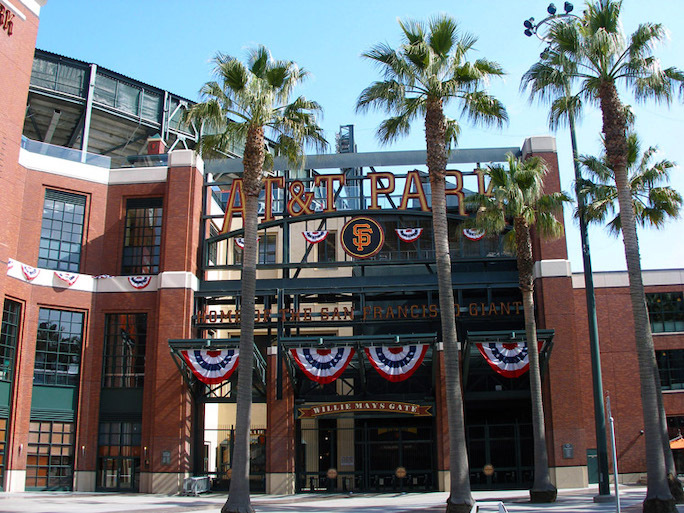 AT&T Park, one of the most beautiful open-air baseball stadiums in the country, is the heartbeat of this bustling downtown waterfront community. From many of the condos near AT&T Park, residents can even look right out their windows and catch some of the action on the field! Home of the World Champion San Francisco Giants, AT&T Park utterly transformed this former industrial neighborhood when it was built in 2000. Since then it has become an iconic gem of San Francisco Bay’s architectural identity, and has helped make South Beach one of the hippest addresses in the city. Its not just baseball you can easily walk to - the Park also has concerts with big names like Santana and Guns & Roses. Just outside the park you'll find restaurants with bars that cater to the after-game crowd but are always available to those who live in a condo nearby! You can't get much closer to baseball than at 170 Off 3rd with modern condominiums right across the street from the front entrance to AT&T Park. Built in 2007, this high-rise community features a central courtyard with a palm tree lined pool, spa, clubhouse and sun deck. Its contemporary one-level floor plans feature high ceilings, hardwood floors, high-end kitchens, open layouts and floor-to-ceiling windows with city and Bay views. Or just one block east, The Towers at Embarcadero South highrise sits directly kitty-corner from AT&T Park, and right across the street from South Beach Yacht Club. With walls of windows and private balconies facing the harbor and the outfield, these designer condos are a Giants fan’s dream. The luxurious interiors welcome residents home in style, and the community’s resort-like amenities include an outdoor pool and sun deck, BBQ area, fully equipped fitness facility, private conference and catering facilities and full concierge services. The Lofts at 200 Townsend Street are located a couple of blocks north of the park, near South Park and in the midst of South Beach’s hippest culinary destinations. With their cathedral ceilings, wide-open layouts and walls of windows, these spacious, multi-level homes have the feel of an industrial loft with all of the luxuries of contemporary construction. Other great condos in South Beach (shown below) include the historic 164 Townsend Street Lofts, which boast exposed mechanicals, brick walls and completely open living spaces; 88 Townsend, offering chic lofts built in 2004 that include underground parking and a roof deck; and Glassworks, a contemporary mid-rise right across 3rd Street from AT&T Park that features modern lofts with exposed concrete walls and a private, community bamboo garden. As you can see from these great choices, the ballpark area in South Beach is a sought-after place to live in San Francisco. For more residences near the ballpark, check out the condos in Mission Bay, south of the ballfield. Built in 2003, the modern lofts at 200 Townsend are in San Francisco's popular South Beach neighborhood. Walk to Caltrain, AT&T Park, SF MOMA, Yerba Buena Gardens, the Embarcadero Farmer's Market, and numerous neighborhood eating and drinking establishments. Also close are the Financial District, the nightlife of SOMA, BART, Highways 280 and 101, and the Bay Bridge. At 88 Townsend Street buyers find sleek finishes and contemporary design combined with a fabulous South Beach location. Located one block from AT&T Park, this 112-unit, brick and concrete mid-rise fits in elegantly with the surrounding architecture. Residents enjoy underground parking, secure entry and a common roof deck with BBQ area. Dozens of renowned restaurants and saloons call the area home, and the harbor and mass transit are only two blocks away.